There are two golden rules for the citation of legal authorities. One is consistency. The other is consideration for the reader. Legal writing is more persuasive when the author refers to legal materials in a clear, consistent and familiar way. The Oxford University Standard for Citation of Legal Authorities (OSCOLA) helps authors to achieve consistency in citing cases, legislation and secondary sources. And it helps authors to make life easier for their readers. 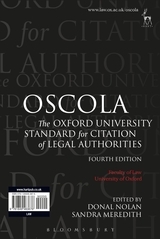 OSCOLA is widely used by law schools and legal publishers both in the United Kingdom and abroad. 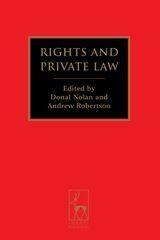 This latest revision of OSCOLA (the fourth edition) is the first to be published in hard copy, and provides more detailed coverage of both primary and secondary legal sources. The editors are Donal Nolan and Sandra Meredith. Shortlisted for the Halsbury Legal Awards 2013 in the Award for Academic Contribution category. Sandra Meredith is Departmental Lecturer in Legal Research Skills, Faculty of Law, University of Oxford.